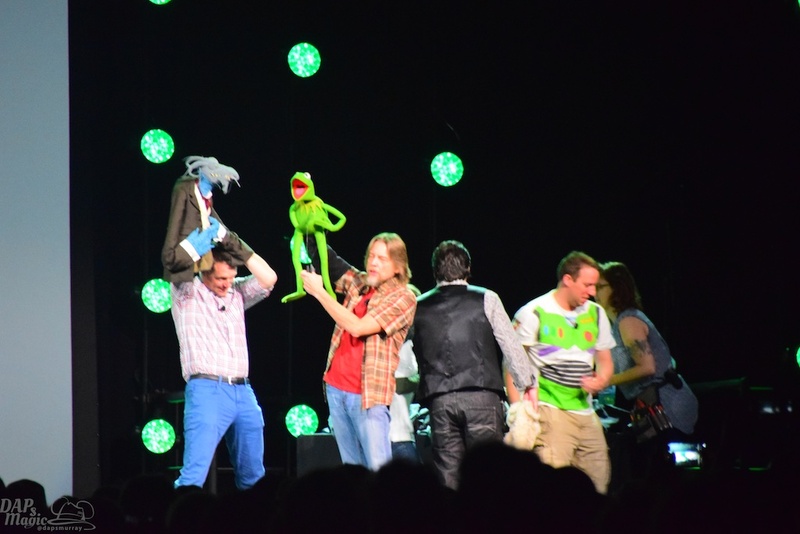 The Muppets took the stage in one of the first 2015 D23 Expo panels. The presentation opened with the sizzle reel from the upcoming show. Steve Whitmire, Dave Goelz, Eric Jacobson, Matt Vogel, and Bill Barretta were on stage to answer questions and talk about the new show. 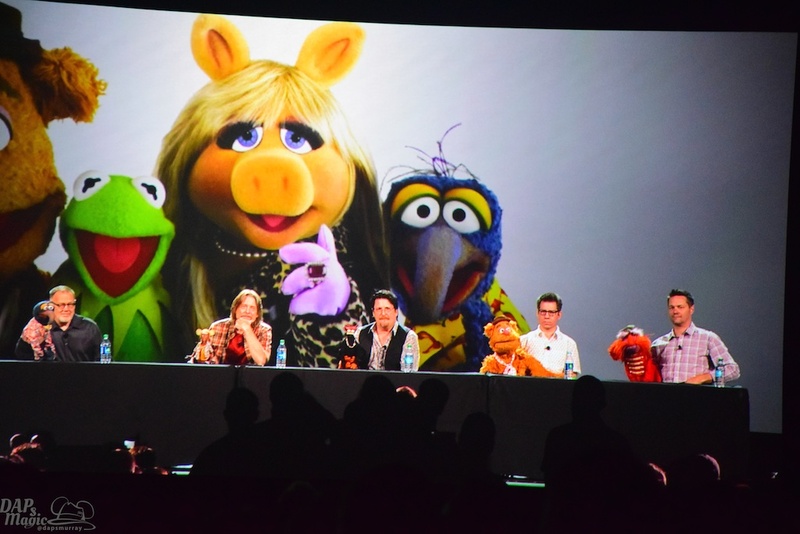 They pointed out how much being a part of the Muppets is enjoyable and has brought them together as friends. Also noted is how much has gone into the making of the show. There are quite different setups than ever before, including walking shots that will show continuous movement of a Muppet. Dave Goelz, being the veteran, talked about that it has taken time for the newer performers to get used to the characters and the show couldn’t have been done 20 years ago. Audience go to ask questions, although many were compliments. When it came time for these questions the Muppets themselves appeared. The one thing on everyone’s mind was asked: What’s happening with Kermit and Piggy? The answer was vague, but they crew mentioned it’s something they’ve talked about doing for a very long time (the break up). Fozzie was put under the cooker when asked about his relationship with a human girlfriend. At one point an English girl was “hit on” by Gonzo, Pepe, Animal and Floyd. She laughed rather hysterically as the performers showed off how well they can meld into the characters. Then, selected audience members came on stage to learn how to puppeteer. Side Muppet characters were available, and Steve Whitmire coached. Different sets of people came up, and each of their times ended with dancing to a song. At one point other Muppets joined in for hilarity. The panel was a wonderful magically Muppet moment with info about the show and the legacy of the characters. Little side tidbits were said about Bill Prady being a veteran Muppet writer and how he got hired by Henson, then went to shows like Big Bang Theory, and now back to Muppets. Also was the announcing of new Pigs In Space being shown on the YouTube channel! I love the Muppets and have been fascinated by what they bring to generations of people. The panel showed how entertaining and touching this group of characters are, and showed the potential of the new show!